We Are Officially Sold Out at 110 attendees! 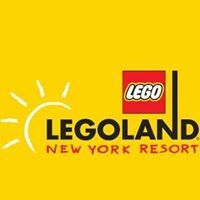 SPONSOR: LEGOLAND NEW YORK RESORT - Community Welcome Center is open in the Village of Goshen for guests to learn about the Resort and ask questions. The Welcome Center will close occasionally for meetings and other events. Children are welcome (especially if they bring a mini-figure to trade!) but must be properly supervised by a parent or guardian at all times. LEGOLAND New York Resort will open in spring 2020. We hope to see you there! COST: Adv. Reg. $20 Members/ Day of Reg. $25 Members/ Soon-to-Be Members $30. In order to get the Adv. Registration price you must register before 3:00pm on Jan 30th, otherwise you will be billed the Day of Registration price of $25.00. Please RSVP by 3:00 pm on January 30th, 2019.